In 2016, the Dow is off to its worst start ever, tumbling into correction territory. The sell-off that began in China is dragging down stocks around the globe. Most major markets are now in correction -- when the market tumbles 10% or more from its peak -- or worse. On Friday, Germany's market dove back into a bear market, meaning it has lost over 20% from its high. 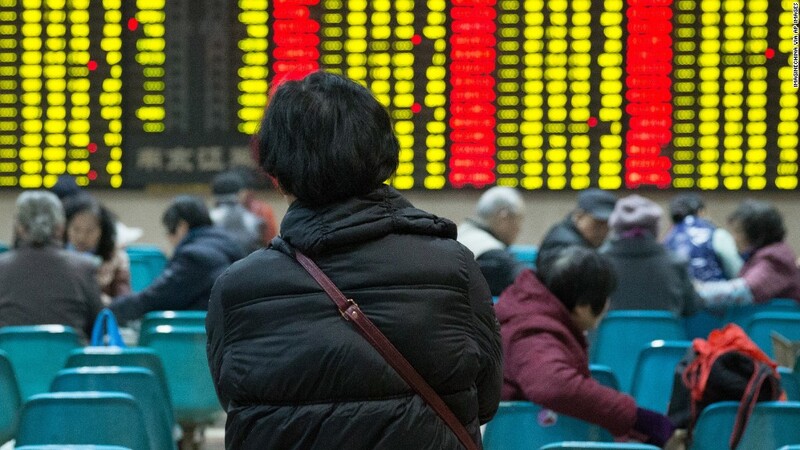 This week's trading drama is deja vu from this past summer, the last time China's government attempted to manipulate the country's stock market and yuan and failed. Corrections are not such a bad thing, especially if they aren't too long. They can be a lot like naps: healthy breaks that allow investors to reassess stock prices. "Longer term, this correction will be a good thing. It will bring financial markets closer to what is justified by fundamentals," Mohamed El-Erian, chief economic adviser at Allianz, told CNN over the summer. "It is going to provide some genuine investment opportunities." Most major markets hit record levels in April, May or June, so a 10% drop is relatively modest. The bigger fear is when stock markets plunge into bear market territory -- a 20% or more drop. China's stock market is already there, depending how you judge. So is Germany's. The Shanghai Composite has fallen almost 40% since it peaked on June 12. Even if you judge by the index's recent December high, it's nearly in a bear market. Other emerging markets like Brazil and Turkey are also in bear markets. As China's economic power grows, it is having a larger influence on the world economy. Germany depends heavily on exports to other nations, including China. That's why its stock market has dropped sharply since it hit a record level April. France and Canada are nearly in bear markets too because they rely heavily on trade with China. Both markets are down about 18% from their spring intraday highs. Related: Is China sparking a global currency war? For now, the U.S. is less vulnerable to China's vacillations. The main U.S. market index -- the S&P 500 -- closed just out of correction on Friday.